There are several ways to adventure in Uganda’s countryside and National parks. One of the adventure tours in Uganda is out door camping and backpacking. Camping is one surely to feel the closer touch to Mother Nature’s gifts of birds, wild animals, insects, butterflies and the vegetation itself. Often, backpacking tourists look for adventure and fun but disaster may come along the way. If you have decided to take a camping trip for Uganda’s national parks and forest reserves, make sure you have the right camping gear that includes tents, hiking boots, supplies and clothing. It may seem obvious for some of these tips but you often need to be reminded on the importance of having to follow the advice from the professionals. Be careful when shopping for camping equipment to use in Uganda. Check the quality of camping tents, backpacks and boots you’ll be using on your trip to Uganda because they need to be very sturdy and stand the dust, shrubs and tears in the bush. Your backpack should have extra pockets on the side to keep items you need to use more often like drinking water bottles, sunscreen, ointment for insect bites and bruises, sunhat and other quick items. You also need lots of straps to keep your baggage in position and firm to the back. A padded backpack is good for comfort. Buy some small locks for safety! Camping in Uganda is good for summer months. 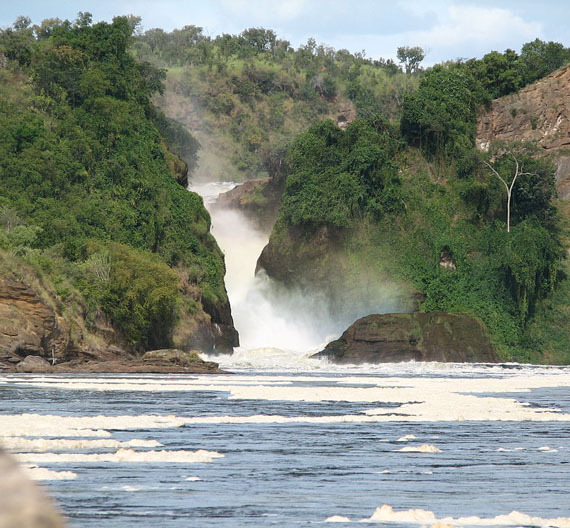 Camping in Uganda is done at designated site within a park or forest reserve. Camping beyond these points may be dangerous with possible attacks from wild animals. Follow each of the guidelines that are given by park’s official at campsites and get a tour guide along for you safety concern. Many of the camps in Uganda have self catering kitchen, a chef and basic facilities like a pit latrine, hot water buckets and a canteen. Day 1: Drive to Bwindi home of gorillas with a stop at the Equator for photographs: Dinner and overnight at Gorillas Resort or Buhoma Community Rest Camp. Day 2: Gorilla tracking and nature walk or village walks and or cultural visits to Batwa People (Pygimies). Day 3: Hit the road back to Kampala. Day 1: Depart for Queen Elizabeth National Park and afternoon game drive. Overnight at Mweya Safari Lodge/Simba Safari Camp. Day 2: Game drive or Chimpanzee tracking in Kyambura Gorrge and Launch cruise along the Kazinga Channel. Overnight at Mweya Safari Lodge/Simba Safari Camp. Day 3: Picnic Drive back to Kampala. Day 1: Drive to Murchison Falls National Park. Overnight at Paraa Safari Lodge or Red Chilli Rest Camp. Day 2: Game drive and Launch cruise. Overnight at Paraa Safari Lodge/Red Chilli Rest Camp. Day 1: Drive to Kibale Forest, overnight at Primates Cottages or Ndali Lodge. Day 2: Chimpanzee Trekking and Nature walk, overnight at Primates Cottages or Ndali Lodge. Day 1: Drive to Bwindi Impenetrable National Park overnight at Gorilla Resort/Buhoma Community Bandas. Day 2: Gorilla tracking and nature walk or village walks or cultural visits. Day 3: Depart for Queen Elizabeth and an afternoon game drive. Overnight at Mweya or Simba Safari Lodge. Day 4: Chimpanzee tracking/game drive and an afternoon boat cruise. Overnight at Mweya or Simba safari Lodges. Day 5: Return to Kampala with stop at the Equator for photographs. Day 1: Drive to Kibale Forest National Park and overnight at Ndali Lodge/ Primate Lodge. Day 2: Chimpanzee tracking, afternoon swamp walk at Bigodi. Overnight at Ndali Lodge/ Primate Lodge. Day 3: Connect to Queen Elizabeth, afternoon game drive. Overnight at Mweya Safari Lodge/Enganzi Lodge. Day 4: Morning game drive or Chimp trekking and an afternoon boat cruise. Day 5: Drive to Bwindi Impenetrable National Park overnight at Gorilla Forest Camp/Buhoma Community rest Camp. Day 6: Adventurous Gorilla trekking and nature walk or village walks and or cultural visits. Day 7: Picnic drive back to Kampala. Day 1: Drive to Murchison Falls National Park. Overnight at Paraa Safari Lodge/Red chilli Camp. Day 2: Game drive and Launch cruise. Overnight at Paraa Safari Lodge/Red chilli camp. Day 3: Depart for Kibale Forest, overnight at Ndali Lodge / Mountains of the Moon. Day 4: Chimpanzee tracking and afternoon swamp walk to Bigodi or Cultural walk or visit crater lakes region. Day 5: Drive to Queen Elizabeth and afternoon game drive. Overnight at Mweya Safari Lodge/Simba Safari Lodge. Day 6: Primates tracking in Kyambura Gorge or game drive and an afternoon boat cruise on Kazinga Channel. Day 7: Drive to Bwindi Impenetrable Forest, overnight at Gorilla Resort/Buhoma Community rest camp. Day 8: Adventurous Gorilla trekking and nature walk or village walks and or cultural visits to Batwa people. Day 9: Depart for Lake Bunyonyi overnight at Arcadia Cottages/Bunyonyi Overland Camp. Day 10: Drive back to Kampala. The Prices includes: The cost of all ground transportation and Fuel, Gorilla tracking and permit@$500 each, Chimpanzee tracking (where applicable), Full time safari guide and his associated expenses, Park entrance fees, Accommodation and meals, all tour activities mentioned in Itineraries such as Boat trips, Game drives and other related activities. But it excludes: Items of personal nature like Laundry, Beers, tips, telephone calls etc.